Serendipity: 18 months ago, Paula Stott walked into Mind and Body Symmetry studio by accident, yet on the lookout for a plan. Seven years previously, she weighed 317 lbs. Her doctor had warned her to lose weight, either by lifestyle change, surgery, or a combination of the two. Spurred on by one thought, “I need to undo what I did to myself.”, she began to add exercise and to learn nutrition with portion control. 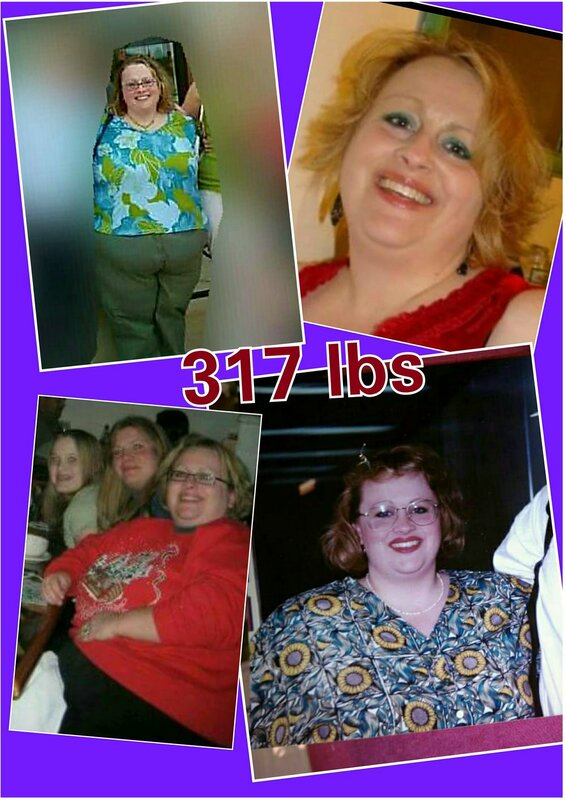 She lost 124lbs in 5 years on her own. Her life became somewhat chaotic then, and she quit working her plan for a couple of years; regaining 22 lbs. So, in January of 2016, at 215 lbs, she was ready to move forward on achieving her goal to become her healthiest self. Paula had learned that to reach her long-term goals she had to learn how to build lean muscle. She began seeking knowledge and help. Some wonderful people led her to check out Conquest Gym of DeWitt. While doing so, Paula bumped into Walter Crockett in his studio. Thus, was born a partnership and a plan. Over the next 18 months, Paula began weight training by various means: Personal training, Pound 4 Pound, and warrior cardio class, working circuits, Pound class, and working out with a group of like-minded people. She stayed accountable by recording everything she ate. Sometimes she felt like she was making no progress, getting frustrated. 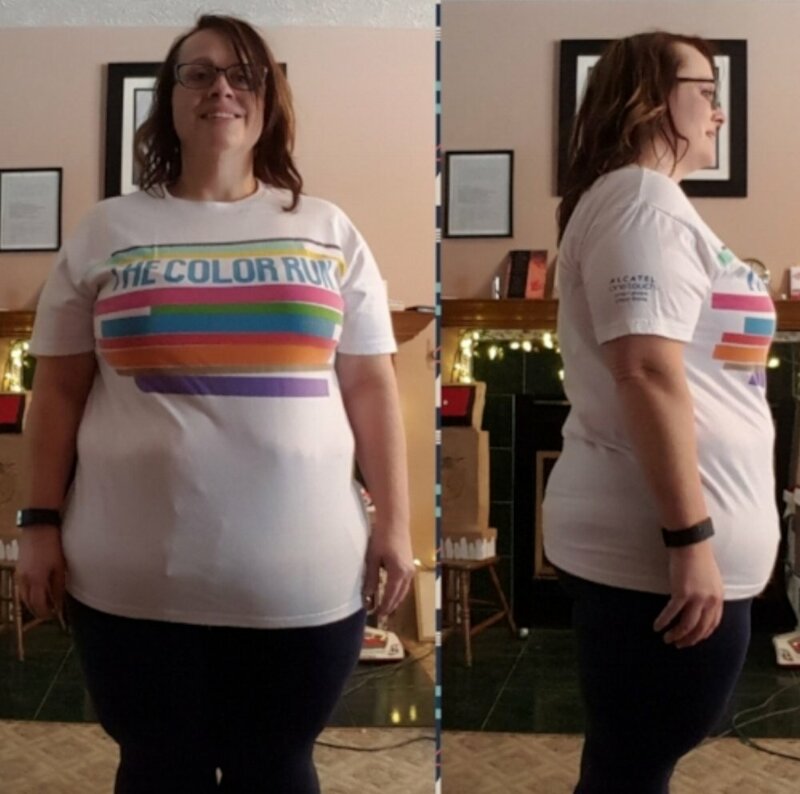 It was then that she would take progress pictures, get measured, or get a body scan. In reality, her body was changing at a steady pace. Now, at 147 lbs, she is closer than ever to reaching her goal of having a healthy body fat percentage. Exercise is a way of life. In some way, she gets a workout of some kind most days. It is something she truly looks forward to. Being able to accomplish new things physically is exciting. Her relationship with food has changed fundamentally. Food is fuel for the body. Planning ahead for meals has become a way of life. Tools in her arsenal are weekly food prep, planning ahead to best handle travel and restaurants, and using food only as fuel at least 90% of the time. Rather than looking at this as a diet, she treats it as a forever way of life. This life style change is a goal led commitment that has brought on too many positive health changes to count. It is because of this that she is so vocally passionate about it all. She hopes, like many were for her, tobe the inspiration for others to make these same types of changes…. To be their best selves! These two pictures are only 14 months apart. I used to say I did not have time to workout. Now I shake my head in wonder at that. I don’t NOT have time to workout now. A different kind of MOTIVATIONAL MONDAY!